Curtis has been named 3x Champion Steer – Section 4 FFA Fair, Rock Island County Fair Jr. Show Champion and Rock Island County Fair Open Show Champion! 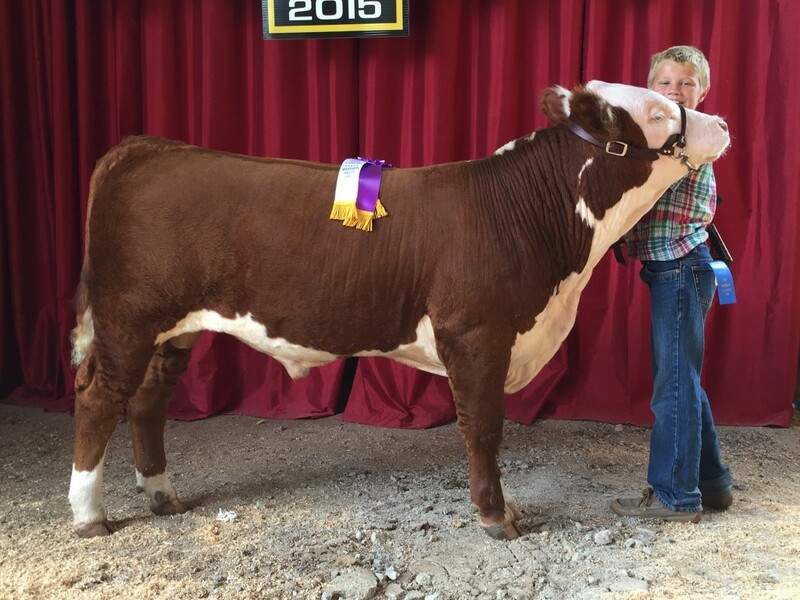 I never thought I would see a Hereford steer become Grand Champion at these shows, let alone, OUR Hereford Steer! Thanks to Whisman Family and Tyler Winegardner for all your help! 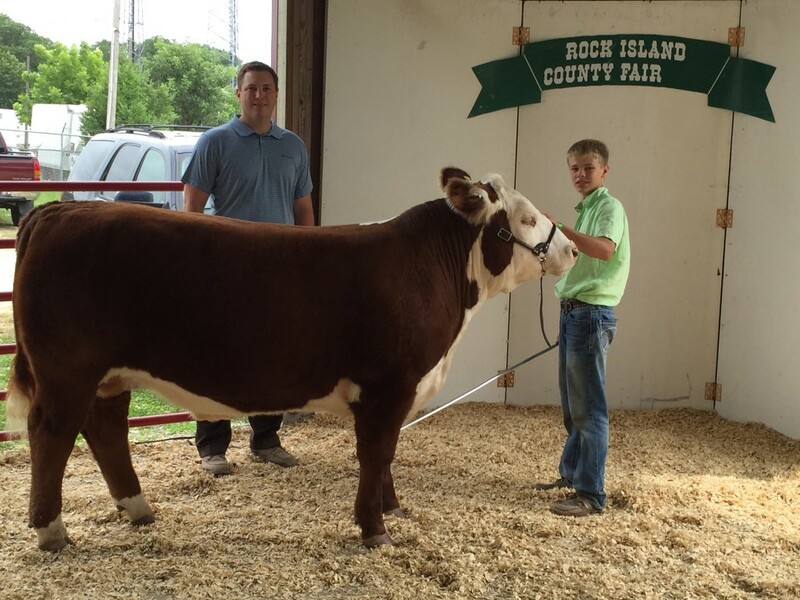 Curtis finished his show career 2nd in his class – behind the Reserve Champion – at the Illinois State Fair! 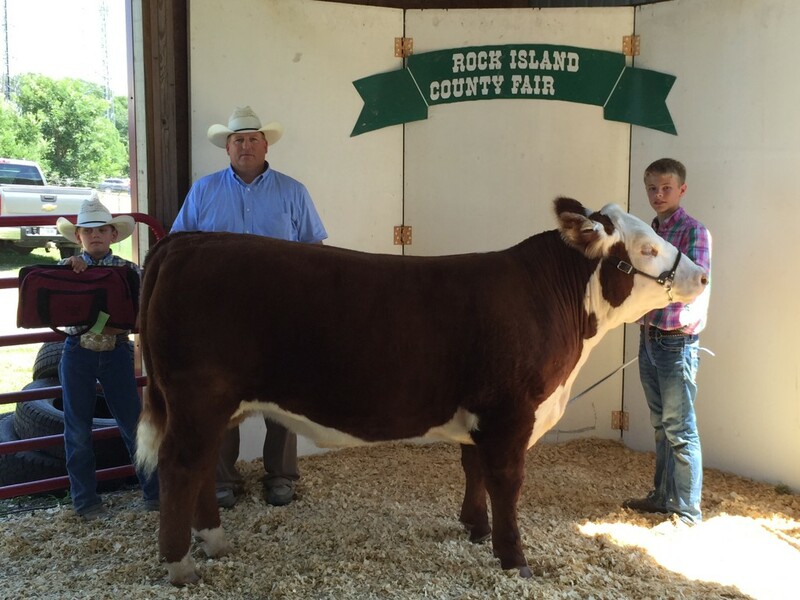 Also Rocky – El Diablo the Bull was undefeated and Champion Bull over all at Rock Island County Fair and Champion Hereford at Mississippi Valley Fair! 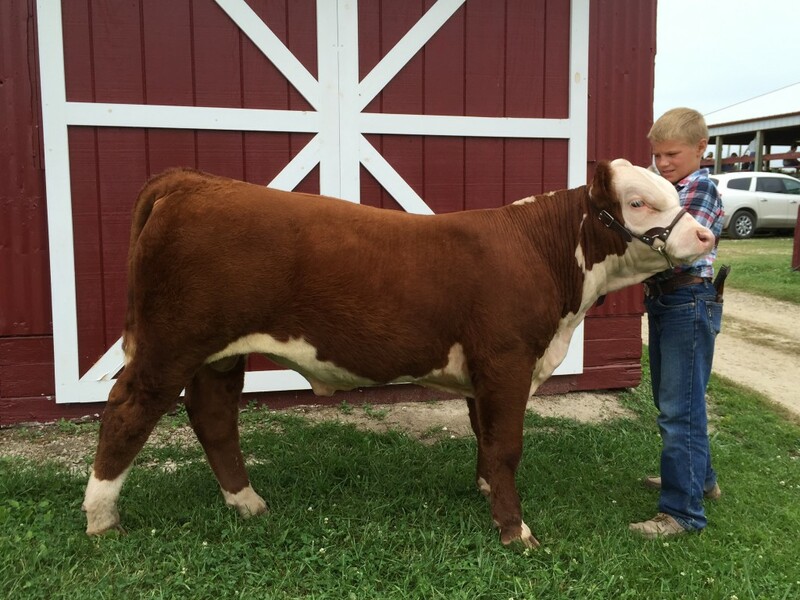 He is currently for sale – C Pure Gold x Dirt Road Vicky (Champi0n at Denver two years ago). 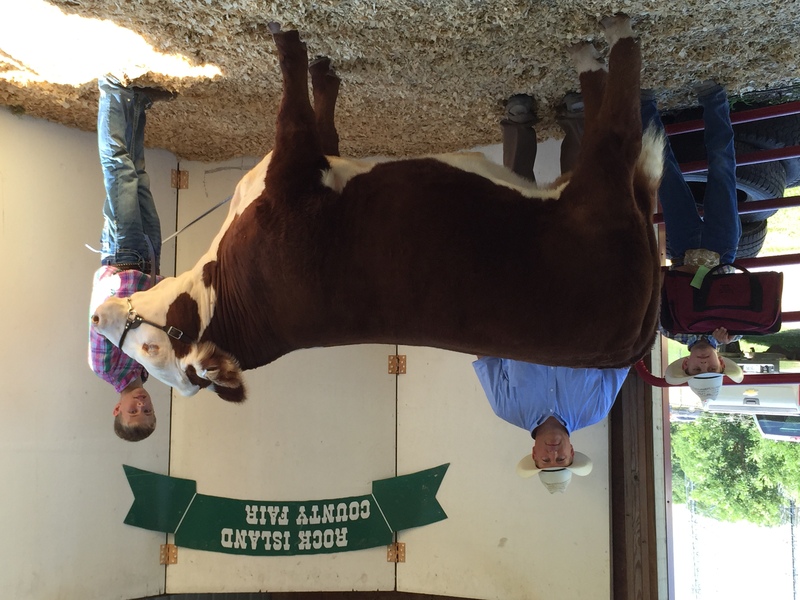 This entry was posted on Tuesday, August 25th, 2015 at 7:15 pm	and is filed under Cattle. You can follow any responses to this entry through the RSS 2.0 feed. You can leave a response, or trackback from your own site.